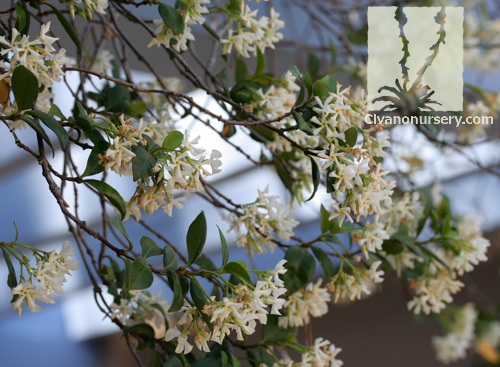 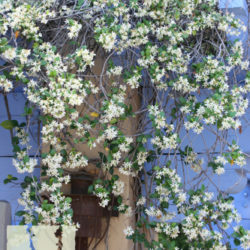 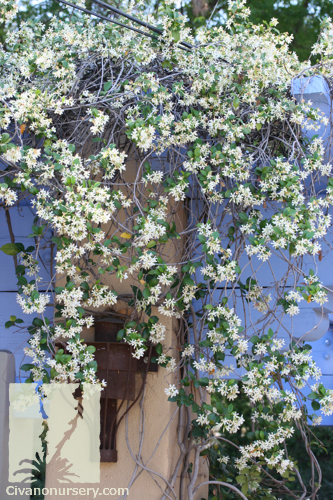 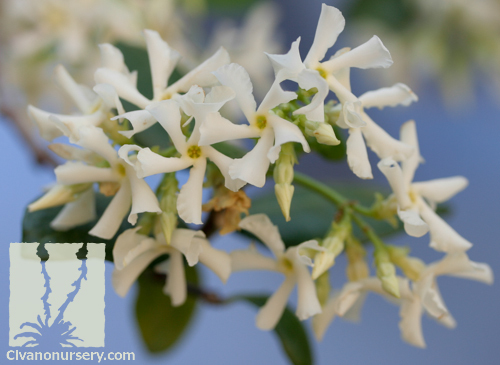 Once you smell the incredible fragrance of a star jasmine in bloom, you’re sure to want at least one growing near your patio! 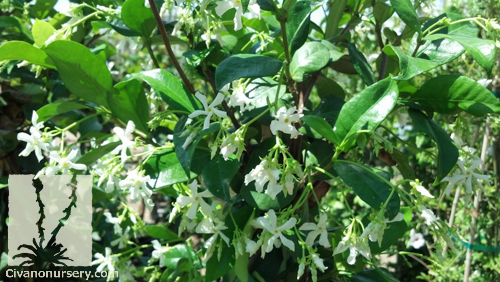 This woody, vining shrub is an absolute delight in late spring and early summer when clusters of sweet-smelling, snow white, star shaped flowers appear amongst its glossy, dark green foliage. 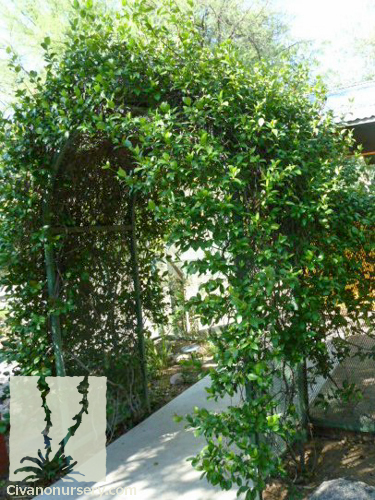 It can reach great heights and widths when trained as a vine and given some structural support, and because it’s evergreen it makes a nice privacy screen when grown this way. 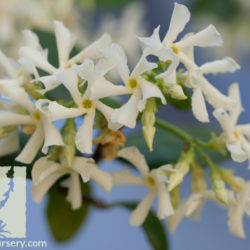 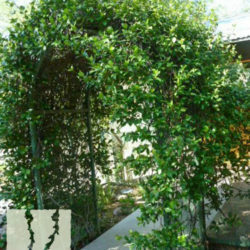 However, it’s just as easy to grow star jasmine as a 2 foot tall, spreading groundcover or a low, wide shrub where no height is needed. 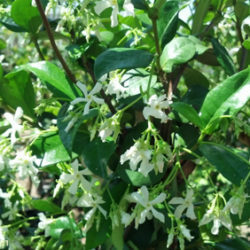 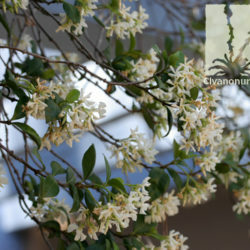 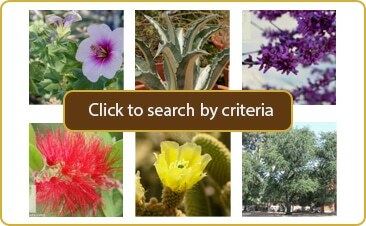 Since it only blooms on the previous year’s wood, any heavy pruning should be done soon after flowering in late spring.